Ever since he took office, President Trump has shown no regard or respect for anything or anyone except for his own opinions and whims, giving attention only to those who would support his beliefs, statements, and initiatives. This is a government that revolves around one man and he is pulling no stops whether he be facing foreign leaders and dignitaries, the legal system or the tenets that hold the foundation of freedom and democracy, or history itself. 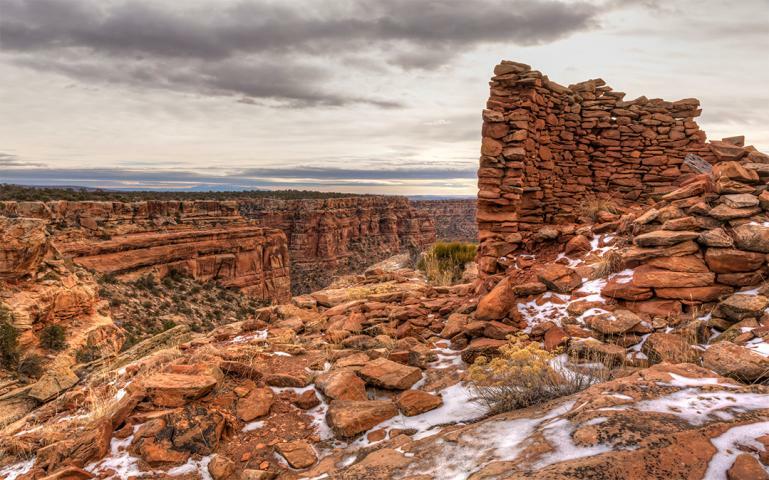 What caught the president’s eye this time were two national monuments in Utah which he has decreed by presidential order will have its total size reduced. The Bear Ears National Monument and the Grand Staircase-Escalante National Monument which are both located in southern Utah and were declared as protected land by means of another presidential proclamation by former presidents Barack Obama and Bill Clinton. Trump will be shrinking the size of Bear Ears by more than 80% from 1.35 million acres to only 228,000 acres while Grand Staircase would be reduced by roughly 45% from 1.9 million acres, it will be split into three sections and will be left with 1 million acres. One of the reasons why Trump made this executive decision to decrease the land area of these national monuments was to use them for oil drilling and coal mining however, another thing to note about these areas is that sacred Native American lands and archaeological sites can be found scattered throughout its vast expanse which is why they were established as national monuments in the first place. President Trump slammed the past administrations for committing “federal overreach” and further criticized them by saying, “the natural resources of Utah should be controlled by a small handful of very distant bureaucrats located in Washington. And guess what? They are wrong." Patagonia will not be the only company who would be taking a step toward bringing back these lands to their original size and protecting the heritage and culture of the people that live among them. Other companies like REI and North Face have changed their homepages to protest the move that the president made. North Face also launched a campaign on Kickstarter to raise $100,000 in order to donate to the Bear Ears Education Center. These companies and many others are fighting to protect the environment and not simply let the federal government have its way with a federal land grab so that only a handful of rich billionaires would get the profits from the resources found on these lands. What it all boils down to is discrimination for the people who have lived on these grounds for many generations and all for the purpose of creating more jobs to people who are living in the area. But to the Native Americans who have stayed there for centuries, those places hold a special place in their heart. It is where their ancestors and the stories of their people find its home, where they belong, their identity, and their history. Taking that away from them is similar to stripping them of their dignity and cultural heritage as a people.